Microgaming is a company famous for their engaging slots and award-winning online and mobile casino software. This November, Microgaming have expanded their mobile slots offerings with 2 new games guaranteed to reward and entertain. 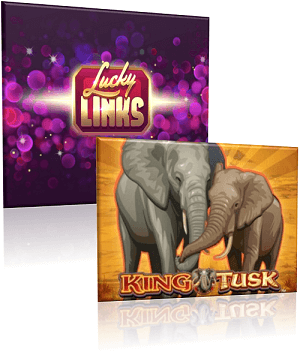 The first of their new release titles is King Tusk, a 5-reel, 25 payline online video slot with a Safari theme. In this African inspired game, players are taken on a journey into the wild African plains with the great elephants. King Tusk includes a full range of bonus features with 3 different free spins games. In the base game, a randomly triggered Wild can unleash a stampede of elephants which can turn any regular symbol Wild or a Wild symbol into a stacked Reel of Wilds. The free Spins round is triggered by landing 3 King Tusk Symbols where players can choose from 3 different games including Dance, Stampede or Gone Wild. 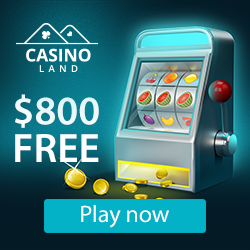 With each feature, players are awarded 10 free spins. In the Dance feature, each spin adds another Wild to the Reels, which stays up for 5 spins. In the Stampede feature, elephants will randomly charge across the reels turning two whole reels Wild. In the Gone Wild feature, any of the elephant symbols can become Wild at any time. Launching on the 22nd of November, King Tusk offers up great entertainment and the chance to win 62,000.00 credits. Microgaming’s second new-release this month comes in the form of the Lucky Links slot. This 5-reel 20 payline game pays both ways and has a classic good luck charm theme. Kitted out with vibrant graphics, stunning visuals and big winning opportunities, Lucky Links is the ideal game for anyone looking for seriously big payouts. The main draw card of the game is the Lucky Links feature. Here, stacks of linking symbols lock into place on the reels, which then triggers a re-spin. Every time a Lucky Links symbols locks into place, another re-spin is initiated. This give player’s ample opportunity to build bigger wins with multiple spins possible of a single bet. During the Lucky Links feature, the power bar at the bottom of the screen will continue to build. As the power bar fills, the music increases, the lights get brighter and the intensity of the game is shifted up a gear. The more the power bar increases, the more players stand to win. Lucky Links was released on Wednesday the 15th of November and is guaranteed to bring players plenty of high-quality entertainment.